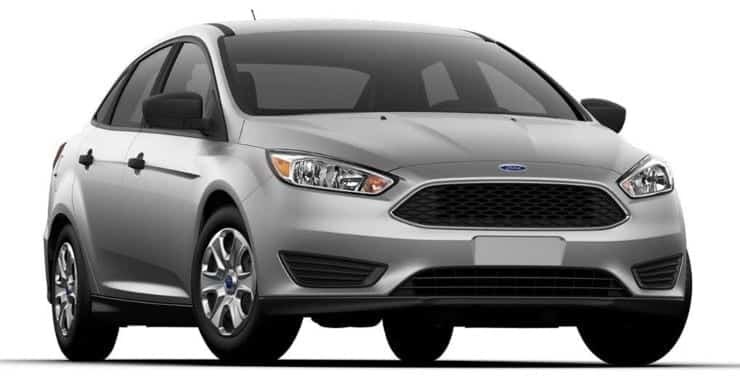 Find the two latches to open the Ford Focus hood with this tutorial. On the inside of the car, pull the latch located under the wheel and close to the drivers side door. On some models, like the Australian model, the latch is on the left side on the passenger side. The hood should pop up. Now with the hood popped up, go to the front of the vehicle and find the second latch under the hood, which is located toward the left side. Pull this latch toward the right. With your other hand, lift the hood all the way up, then prop up the hood. Some models have a key hole hidden behind the front Ford Emblem. Slide the Ford emblem up and use your Ford Focus key to pop the hood. 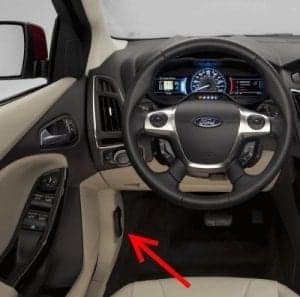 On the inside of the car, pull the latch located under the wheel and close to the drivers side door, or in Australian models it should be located on the left passenger side at the front. The hood should then pop up with a familiar subtle boom. Press down hard after you hear the latch click, try to avoid dropping the boot on the latch itself. Bloody ridiculous! Just spent 5 minutes trying to find the latch and it’s on the passenger side! It should be on the drivers side! I’m disappointed I’m a big fan of Ford but this is just a bad design.